The TNA: Following The North American Election Model? A private dinner for a small group of people will be hosted on Saturday Aug. 10, 2013 at 6:30 PM by TNA supporters in Toronto for TNA Members of Parliament Mr. R. Sampanthan and Mr. M. A. Sumanthiran. The venue is the Toronto Don Valley Hotel. The cost of attendance? A minimum contribution of $500 per head. The goal? $100,000 towards the provincial council election campaign fund of the TNA. To be successful, this so called “small group” must therefore include about 200 people. An announcement by the TNA’s Canada branch says the two MPs will arrive on Aug. 9 and meet lawyers, doctors and representatives of local bodies at a dinner, another one, on Aug. 11 and leave for the US the next day, Monday. The TNA’s election needs and fund-raising goals are legitimate. Government vehicles with false number plates have always been used by the EPDP and UPFA candidates in the South too, as complaints already lodged by observer agencies indicate. For the TNA to hire a private van for a day’s campaigning could cost several thousand rupees. EPDP MP Murugesu Chandrakumar from noon to 3:00 p.m. on Aug. 8, a Wednesday afternoon when officers are required have open hours to meet the public, had government officers to join him at an election campaign event at Uthayanagar, Kilinochchi where free lunch was served. Temporary Assistant Planning Office Amarasingham Ketheeswaran and Assistant Primary Education Officer S. Ganesalingam delivered major speeches on government time. Candidates were introduced. For the first time in Sri Lanka, even temporary, menial government positions are distributed by Douglas Devananda at public meetings and the recipients bow down to him when receiving the letter of appointment. The appearance of an imminent win at his campaign meetings because of the crowds so gathered, can have an avalanche effect in his favor and needs countering. With government resources so freely used, the TNA feels that only Canadian Tamils have the resources to meet their needs and match the government. But I really worry about the wisdom of this change of course in election strategy. The Federal Party was always the party of the people. Campaigns were on foot where supportive elders from each street would take the campaigning person and introduce him – I do not say “or her” only because all candidates those days were men – to the household and ask for their votes. Although old-fashioned, the personal touch always encouraged turnout and delivered the vote. Importantly, the party came to us. Now, with high powered campaigns being foreseen, we have to pay $500 to meet our own MPs. And at the meeting on Sunday our MPs will meet only doctors, lawyers and other high powered people. This reminds me of the Tamil doctor and wife who paid $150,000 to sleep over at the White House and have breakfast with the US President. And of course, there is the natural corollary of these contributions – when a Tamil American seeking defense contracts contributed several tens of thousands of dollars to his Senator, the latter, after winning, made a stirring speech on why supporting Americans’ companies enhanced American security without relying on Chinese products, and pushed through an attachment to a bill sending millions to the Tamil American’s company. Besides the ethics of it, do we need MPs who would make disingenuous speeches like this Senator? 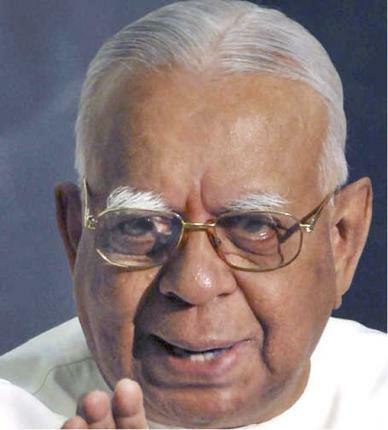 Indeed, integrity was always the hallmark of the FP MP as Mr. Sampanthan would know from our better days. The Canadian Tamils in seeking their place in the New World appear to be emulating the $1000 plate dinners of American politics. There are two lessons in the American model for the TNA. First, we pay to meet our leaders under this model which was never our way. And second, those who give often expect something in return. Is this change of campaign paradigms wise for the TNA? I think it will only invite more wheeler-dealer, high-living candidates to the party and keep out thinking candidates connected to the people. True, overseas Tamils are important to the party. But the real constituency of the party lives and suffers in the North-East. Douglas Devananda, they say, works every day from 4:00 AM to 10:00 PM meeting people at Sridhar Theatre, ordering excellent food from Cosy Restaurant down Sirampiradi Lane running by the side of Sridhar Theatre. When Devananda, for example, packs the Jaffna University Council with his nominees, the TNA does not even propose names of upstanding Tamils to the government, say observers in Jaffna who point to the fact that the UNP gets its nominees into southern universities. Messrs. Sampanthan and Sumanthiran should be countering Douglas Devananda in Jaffna with just weeks to go before D-Day on Sept. 21, 2013. Tamils: Broker Politics Or Democratic Action? This is silly. Who on the ground has money? No one except the crooks. So naturally they have to turn to the diaspora. The TNA have always been and acted like absentee land lords in Jaffna, hanging around Colombo and the international community rather than living and working among the people they claim to represent. They only go to Jaffna for one or two election flying visits.. The Tamil people of the north are between the devil and deep blue sea, when it comes to choosing between Devananda’s EPDE or Sampanthan’s TNA. lol. you clearly haven’t met our sinhala politicians either. Come on you are suggesting that raising money is a bad thing, really? Sumanthiran is a very powerful voice not just for Tamils, but all freedom loving democratic people. There is nothing wrong with seeking donations from supporters. It is not like they are going to line their pockets with it. Someone like Sumanthiran did not become such a high profile human rights lawyer by lining his own pockets. He has enough skills that he could be directing his efforts at enriching himself. Instead, he chose to give his skills to uplift Sri Lanka. In the south drug dealers and big business fund elections. I think this is a better option. At least TNA wont have to bail these people from prison or obstruct law enforcement. $500 is not a major amount in Canada considering the reason why they want it. That is the right of the Tamil diaspora. So others who do not like it just lump it and shut the F… up. This will be the trend in the future, like the Israeli lobby in the USA. Despite the poor decision of having W as the CM. He could have been Deputy CM and a powerful minister in the NPC which has no funds to operate. Sampanthan and TNA of course saved Mavai and others of the embarrassment. NPC elections is just the starter to the Tamil resistance against Sinhala tyranny and military rule of the North and the East. TNA will join hands with the SLMC in the East. Whom do you want to contest for the position of CM of the NPC? Yes, they will expect in return faithful service for Tamil people of the North-East, where Tamils have been electing TNA as representatives in several elections. The EPDP and the Rajapakse family regime misuse state property and resources. Whereas TNA has no such luxuries. The Tamil leadership with a mission to parley with the formidable powers that be, has first to secure an overwhelming victory and a convincing mandate. A political party that cannot mobilise resources will not establish credibility with the electorate. Anti Tamil miscreants who will do nothing without payment know it best. The TNA’s priority effort is to free the community from its over zealous activists with clean hands,cleaner minds and cleanest motives. The situation for the TNA seems precarious. Wigneswaran has not been back in Jaffna after filing nominations. Mavai Senathirajah is in India. Only one public meeting has been set at this point and it is for Kilinochchi on the 15th. Using clashes between 3rd and 4th year students the university has been practically shut with only freshers attending. As a result the 4 recent students who are TNA candidates are unable to mobilize their students supporters. On the other hand, Douglas Devananda is getting his message across through Dan TV and its 3 channels which people watch for the latest movies and news. The TNA leadership appears like the rabbit that, so sure of victory, took a nap while racing the tortoise. It is time to wake up from that deep, over-confident slumber. off to their venture. I am sure UK is also in the Schedule. their humble efforts must be appreciated. You don’t need to campaign for months. Most people only remember what was said in the last week or two of an election campaign. Anyway, a majority of the Tamils in Jaffna do not trust the UPFA or their lap dog Douglas. Like in the presidential and general elections of 2010, the Jaffna Tamils will accept all the handouts that are given to them by the MR government, and then they will vote for the TNA. Only massive rigging could allow the government to win. You hit the nail on the head when you said, “Only massive rigging could allow the government to win” because that is exactly what ill happen. To all those who said “jilmart” was impossible, check out some recent U.S. TV series where the exact manner in which that is done is depicted! Maybe the government will not win in the north. I don’t think the Tamils were treated very well by the government and the government is why they turned to a Marxist terrorist thug like Prabhakaran which shows how desperate they were. I think the most brilliant people who support democracy and the rule of law should win everywhere in the north and the south. That is why I believe M.A. Sumanthiran is going to be president. It seems unlikely, but it will happen and the future will then be far better for all. Look at the article he just wrote. He is the unifier of Sri Lanka. The present government served its purpose and it is time for it to go to make way for better things to come! $500 is a small sum for anyone employed in canada. If Rajasingham does not wish to pay,it is ok.
TNA knows the plight of tamils in the north. This is why they collect funds to use in election expenses. Surely the Western intelligent agents (CSIS and CIA) will be attending the Private Dinner. They will make sure that the money will be used to divide the country, in order to make sure that Sri Lanka will never prosper as united Sri Lanka or as divided country. The Westerners don’t want the Western money and skills move to the East. They did not let 500000 Tamils inside the country to help Sri Lanka prosper. The Sri Lankan government must pass a bill to make it illegal to raise money from the foreigners for the election campaign. When the West ruled the Indian Subcontinent the made sure it will be under their control forever, even after they left. The Chinese are very smart, the West can’t fool the Chinese that easily. All are welcome provided they pay the $500. There is nothing to hide. Even the SL ambassador could attend. If she wants a disguise she could wear a suit I think she’s already got the beard. Rohan on I, Too, Am A Victim Yes you are a victim of what ? Don’t make me laugh.